Thursday: Focus on your business, not on delivery or cloud hosting – but take some personal time to enjoy chocolate! Calitech™ principal Adolfo Perez and I started the day at Uber, the company whose mobile application has revolutionized the service of cars for hire. 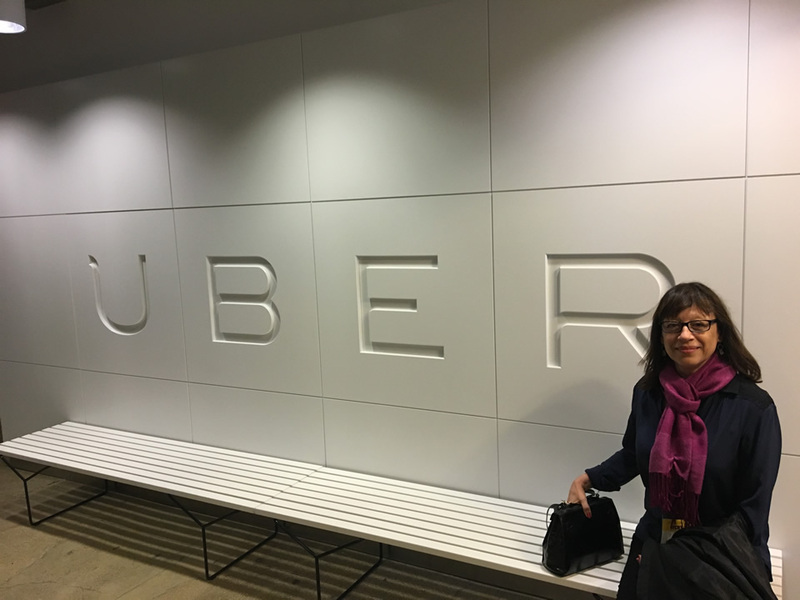 At the Uber office on the west side of Manhattan we heard about the company’s innovation into new fields, such as UberRUSH (deliveries) and UberEATS (food delivery). Clearly Uber is not just an alternative to taxis, and not even an alternative to private cars: it’s an alternative to spending time doing things that can clearly be delegated to others. This is also true of cloud hosting and managed services. Many companies spend time, financial and human resources storing their data and applications on premise, without realizing that those resources would be better utilized by focusing them on innovation and strategic projects. If you’re in the business of making beautiful flower arrangements, that’s what you should focus on, and not on how to get those arrangements to your customers. In the same way, you shouldn’t worry about storing your customers’ data, or your financial records in your server. Leave that to us. Your data will be safe, and readily accessible whenever you need it. At Calitech™, we want our customers to focus on growing their business. Because if they win, we win. In the afternoon, we went to Brooklyn and met the chocolate geniuses at Valrhona, who shared their story with us and gave us delicious samples to take home. What a great way to finish our week at the Fast Company Innovation Festival!